Travel with Gunther Tours to the Outer Banks, a 130-mile stretch of barrier islands just off the coast of North Carolina. Whether you are a history buff, outdoors adventurer, admirer of lighthouses or aviation enthusiast you will find the Outer Banks are home to hospitable people in quaint towns and sleepy fishing villages, white sand beaches and sea-salt air, shipwrecks and treasures, the Wright Brothers National Memorial, wild mustang ponies and endless activities on and off the sand! Dont miss this tour! Book early! Welcome Aboard! Travel in comfort aboard our deluxe motor coach to the coastal plains and swamplands of North Carolina Outer Banks. This delightful coastal community is home to pristine beaches, soft breezes, hurricanes, shipwrecks and pirates, and the beginning of the age of flight. After checking into our oceanfront accommodations at the Hampton Inn & Suites in Corolla, North Carolina for the next four nights, we are treated to a delicious dinner at a local restaurant. After a buffet breakfast we meet our step-on guide, and depart for a day of sightseeing in the Outer Banks. We begin at the Corolla Outback Adventures in search of the Outer Banks Wild Mustang Ponies. Feel the ocean breeze and taste the salty beach air as we cruise the Outer Banks beaches in open air, passenger vehicles allowing us to view the horses in their natural environment. Our friendly, knowledgeable and highly trained tour guides will entertain us with stories of local legends, the ecology of the Outer Banks, and some quick-witted humor. We will cover up to 20 miles of pristine beach where you may see surfing dolphin and the occasional fox, deer, and boar. The "Banker" ponies roam free across the beaches and you will have the opportunity to get up close and personal with them to enjoy a wonderful photo opportunity and a truly memorable adventure! Following our tour, we depart for Timbuck II Village in Corolla, North Carolina for shopping and lunch on your own. Timbuck II Village overlooks the Currituck Sound on the Northern Outer Banks of North Carolina and features over 60 exciting shops, restaurants and recreation. Later we return to the hotel where you will have some leisure time to sit, relax and enjoy the comforts of our oceanfront hotel. Bring your bathing suit and take advantage of the hotel's outdoor pool, relax on the lazy river or swim laps in the heated, indoor pool. Tonight, we go out for a delicious dinner at one of the Outer Banks' premier restaurants. After a buffet breakfast we meet our step-on guide, and continue our exploration of the Outer Banks. We begin with a photo-stop at the Currituck Beach Lighthouse. This red-brick lighthouse towers above the northern Outer Banks landscape and offers panoramic views of Currituck Sound, the Atlantic Ocean and the Currituck Outer Banks. 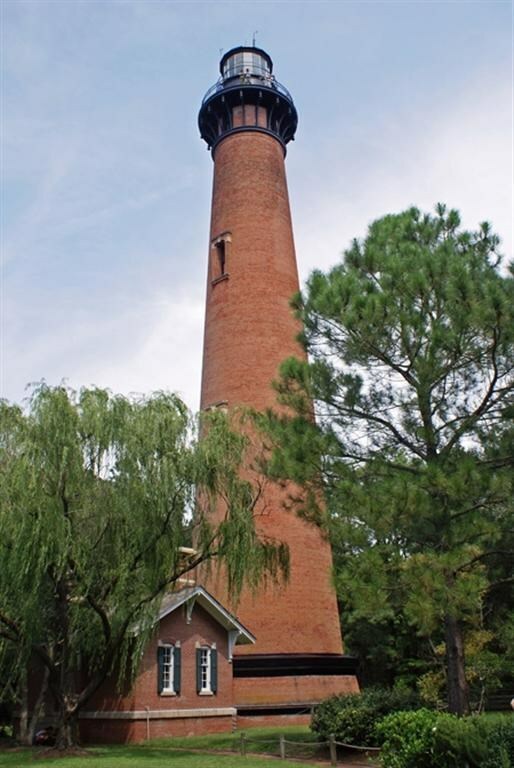 The last major brick lighthouse built on the Outer Banks, the exterior was left unpainted and provides visitors today a sense of the scale and the thousands of bricks required to construct the structure. Next, we enjoy a guided audio tour of the Whalehead Club & Exhibit Gallery, adjacent to the scenic Currituck Sound. The Whalehead Club is a beautifully restored 1920's era Art Nouveau style mansion. A wealthy couple from Rhode Island who fell in love with the sound front property in Corolla, the Knight's decided to construct a 22,000-square foot home to live in during the wintertime. The tour covers the first and second floors of the Knight family home, plus there is an exhibition gallery in the basement. We continue onto the Center for Wildlife Education and view a collection of over 200 artistic and antique decoys. This is where Ducks Unlimited got its start. Following our tour, we depart for Scarborough Faire in the quaint town of Duck, North Carolina for shopping and lunch on your own. Scarborough Faire is an open-air market where specialty stores, fine eateries and nature intertwine for a unique shopping experience. The atmosphere experienced is decidedly more like that of a park than a shopping center. So, enjoy strolling along tree-covered walkways exploring one-of-a-kind shops and the works of extraordinary artisans. Later we return to the hotel where you will have some leisure time to sit, relax and experience the comforts of our oceanfront hotel. Tonight, we go out for a bountiful seafood buffet dinner that features over 70 items! After a buffet breakfast we meet our step-on guide, and depart for the Wright Brothers National Memorial in Kill Devils Hill, North Carolina. Enjoy a self-guided tour through the Wright Brothers Visitor Center & Museum where the Wright brothers' story of the world's first powered aircraft flight in 1903 is told through exhibits. On display in the visitor center are a full-scale reproduction of the 1902 glider, a full-scale reproduction of the 1903 flying machine, and much more! Additional exhibits and movies are available in the Centennial Pavilion for your enjoyment. Feeling adventurous? 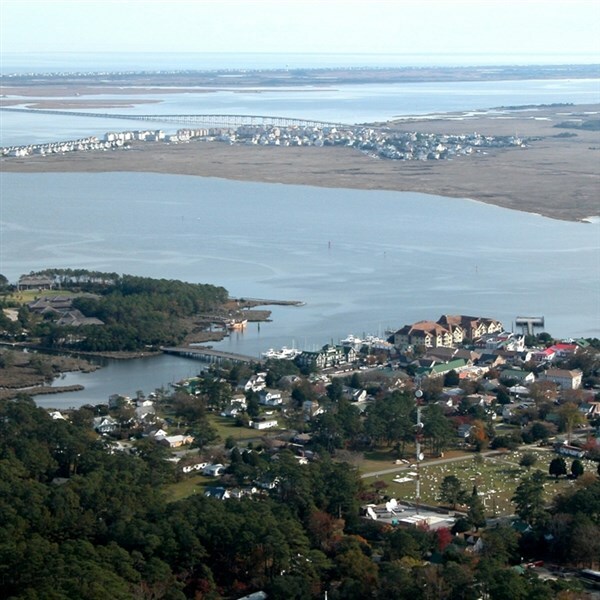 Climb Big Kill Devil Hill for a breathtaking view of the area from sound to sea. 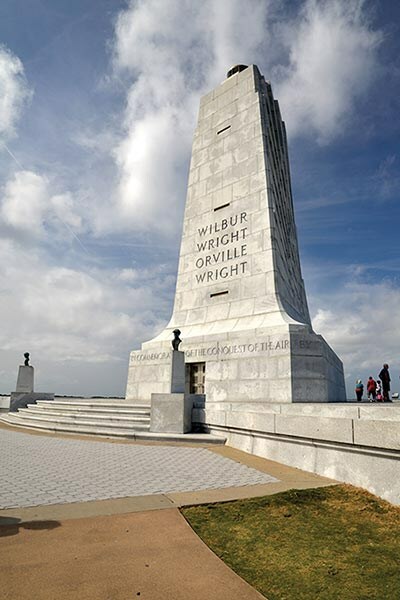 Perched atop 90-foot-tall Kill Devil Hill is a 60-foot (18m) granite monument, dedicated in 1932, which commemorates the achievement of Wilbur and Orville Wright. 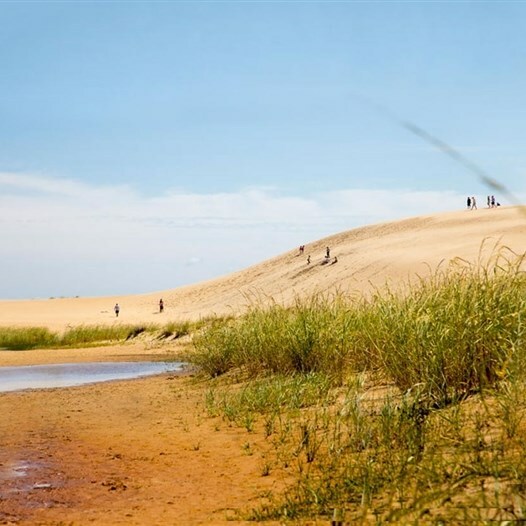 Also, we'll stop at the Jockey Ridge State Park Visitors Center where you can view the "Tallest Sand Dune on the East Coast". Next enjoy some leisure time exploring the charming Town of Manteo, while browsing the many specialty shops and restaurants. Lunch is on your own. Next, we visit the Roanoke Island Festival Park in Manteo, North Carolina, an outdoor living museum depicting life of the early explorers on Roanoke Island. Enjoy a self-guided tour of the museum's attractions including American Indian Town, the Settlement Site, Roanoke Adventure Museum and the Elizabeth II and learning how the first settlers lived, worked and played on Roanoke Island. Historic costumed interpreters are featured throughout. Onboard the Elizabeth II, a reproduction of one of the seven 16th-century English sailing vessels that brought the original English colonists across the Atlantic Ocean in 1585, you will be greeted by costumed docents who will provide a historical account of the wooden vessel and its passengers. Next, we visit the Elizabethan Gardens. Spread over an area of ten acres, the Elizabethan Gardens were created in 1951 to commemorate the first colonists. Fanciful and elaborate gardens were kept to entertain Queen Elizabeth I during her reign. The gardens were created as a living memorial to the time when Sir Walter Raleigh's lost colonists lived in this very place over 400 years ago. The Elizabethan Gardens are a great mix of nature and history. One of the prime attractions in the gardens is the replica of the Tudor Gate House. Several rare plants and flowering blossoms are found here as well. Before returning to our hotel for a good night's rest, we conclude our day of touring with a delicious dinner at a restaurant that combines the natural beauty and local history of the Outer Banks with a delicious island cuisine for a delightfully fun-pirate-theme experience. After a buffet breakfast we depart for home with fond memories of the Outer Bank's unique Atlantic Ocean coastline and scenic Currituck Sound, its wildlife, lighthouses, port cities, and rich colonial, maritime and aviation history.